The Samsung Galaxy S10 series included three devices this year: a giant phone, a”regular” phone, and a”mid-size” phone. The big Galaxy S10+ and the small Galaxy S10e have been getting most of the attention. 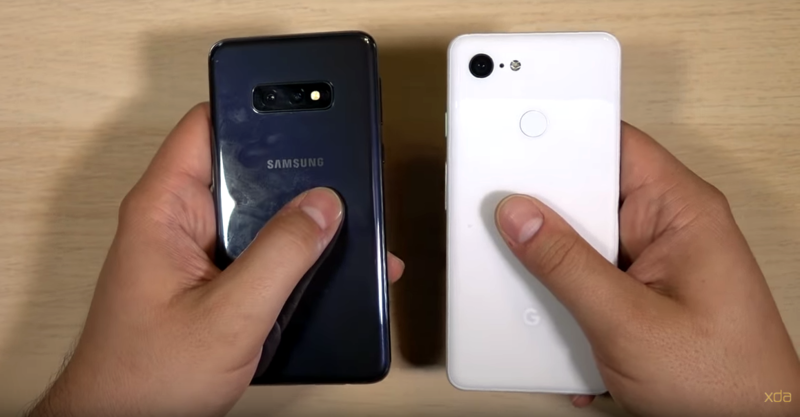 Daniel Marchena from XDA TV compared the latter to another popular “mid-size” phone: the Pixel 3. He shared his first thoughts last month, but now this 38-minute video goes in-depth comparing the hardware, software, media playback, audio quality, and of course, cameras. So what’s the general consensus? Dan says the phones are very evenly matched. He likes the Galaxy S10e, but disagrees with some of the trade-offs Samsung made for the smaller size. He also says the Pixel 3 is overpriced, and if you’re comparing just price, the Galaxy S10e is the easy winner. But there’s still something to be said about having Google’s software and being able to try the latest and greatest Android versions. At the end of the day, these are two very good phones. Watch the full video below to hear more thoughts.